Are you interested in becoming an accountant? Do you have a knack for business and an eye for detail? If so, accounting might just be the career for you. The business of accounting is unique in terms of opportunities and job security; the need for accountants is more urgent than ever in todays complex, and dynamic business environment..
Like it or not, accountants have become indispensable for most businesses. By analyzing financial information and developing strategies, accountants make important decisions and solve critical problems. Here is a list of steps to become an accountant and start a career in the accounting industry. 12 Now You’re Ready – Go Get ‘Em! In order to be licensed to provide public auditing services, accountants in the U.S. must become Certified Public Accountants (CPAs). Certain education and experience requirements must be met in order to be granted licensure; moreover, all CPA candidates are required to pass the Uniform CPA Examination. Whether you’re still in high-school or you’re a professional looking for a change of career, you can meet the requirements for becoming a CPA. 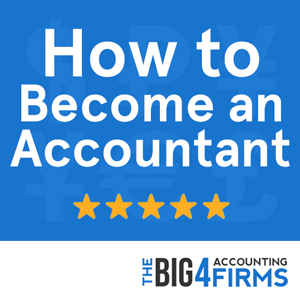 Although the journey is demanding, an accounting career can be extremely rewarding both financially and personally – especially if you land a job with one of the Big Four auditing firms. So before making any commitments, make sure this is really the profession for you. Read on to learn the fastest way to becoming a CPA! 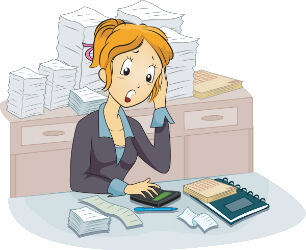 An accounting career begins with four or five years in college. So how do you prepare for your degree and how can you enhance your chances for admission into a top school? Business-related classes such as computing and business law would also put you at an advantage. Additionally, it’s never too late to start developing leadership and business skills through school clubs, volunteering and internships or summer jobs. Make sure to do your research early and pick the best schools and scholarships to apply for – accounting is a competitive field and you want to stand out from the crowd as early as possible! The next step is choosing an accounting program – and this is a decision that could influence the rest of your life, so don’t take it lightly! Keep in mind that you will need a four-year degree in order to work in entry-level accounting positions, but if your goal is to become a CPA or work for a Big Four firm, you’re looking at five years of college education. You will have to earn 150 credits and it is advisable to complete both a Bachelor’s and a Master’s degree, as employers are more and more interested in Master’s graduates. This will help to identify the best accounting programs. 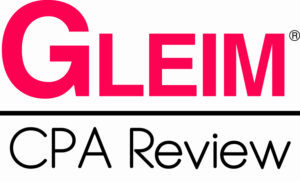 With the challenging CPA exam looming and a competitive job market awaiting you, you should strive to enroll in the most demanding and effective accounting program available. Take a look at the highest rated accounting programs in the country, such as the McCombs program at the University of Texas, the University of Illinois and Brigham Young University. Next, identify the top schools in your state. Your accounting program will not only prepare you for the CPA exam, it will also connect you with future employers and lay the groundwork for your career. If you’re looking for ways to fund your studies, majoring in accounting should help you, as there are many accounting-specific scholarships available. You can apply for privately-sponsored scholarships or funds from professional organizations such as the American Institute of CPAs or the American Society of Women Accountants. Keep an eye out for local scholarships and don’t forget to check the site of every university you are considering, as many of them offer general or accounting-specific scholarships. Some well-known accounting scholarships are the TKE Educational Foundation W. Allan Herzog Scholarship, the NSA Scholarship Foundation Awards and the AICPA scholarships. As a fresh graduate applying for jobs in accounting, you’ll find that experience is as important as your degree. To stand out from other applicants, you shouldn’t wait until you finish your studies to acquire experience. As an accountant, you’ll handle many responsibilities at the same time. Employers are interested in candidates who have excellent grades as well as a strong extra-curricular track record. Positions with major companies such as the Big Four often require a GPA of at least 3.5, so make sure you focus on your studies. At the same time, strive to get involved in student organizations, volunteering programs, and extra-curricular activities that could advance your career. Favor quality over quantity and try to get experience as a leader. As a student, enrolling in an internship is one of the best ways to gain experience, and it often can lead you to your graduate job. To find a great internship, you can check the websites of top accounting firms or seek the help of a college adviser. Some universities offer placement programs and can connect you with the right company. Student organizations and accounting faculty members can also help you on your search – so don’t forget to network. Make sure to research the internship program thoroughly and find out more about the firm that you wish to work with – this will set you apart from other applicants. Additionally, universities often offer career workshops that can help you shape up your resume and interview skills. It is important to remember that even though you’re still a student, you are entering the real business world. Act professionally and doors could open for you! In an interconnected business environment, networking is one of the most important skills you’ll learn – and it’s never too early to start. As a freshman, go to career fairs and do job shadowing; later in college, do an internship and create professional relationships with accounting faculty members and with employers you meet. Join student organizations and attend networking events in order to practice speaking to recruiters as often as possible – a short conversation can sometimes open up surprising opportunities. 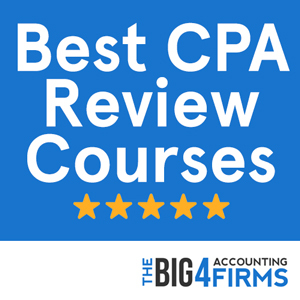 If your goal is to work as a public accountant for a Big Four firm, taking the Uniform CPA Examination will get you closer to your dream job. Find out what educational requirements you need to meet in order to take the CPA exam in your state – but remember that in order to be granted licensure as a CPA you will normally need to complete 150 semester hours with an accounting concentration. Should you fail any section, you can apply for re-examination. Make sure you take the exam as soon as possible after your studies to maximize your chance of passing. This is also another reason you should enroll in an accounting program with excellent CPA exam passing rates and a rigorous curriculum covering all exam topics. In 2013, the passing rate for this difficult exam was only 49.4%, so it’s never too early to start preparing. Once you’ve met the education and examination requirements and you’ve acquired some experience in accounting, it’s time to land that dream job. Although the Big Four auditing firms are the biggest employers of accountants in The United States, their selection process is competitive, so you need to stand out. When seeking a job as a graduate, make use of your previous accounting experience. Contact the university’s placement office and career services even if you already graduated, and make sure to ask people in your professional network about possible opportunities. A good first step is to attend a career fair at your school, whether you are a student or an alumnus. Research the companies attending and the job vacancies available and make a convincing first impression when talking to potential recruiters. You can also join a professional organization such as the American Accounting Association (AAA), the Professional Accounting Society of America (PASA) or the American Institute of CPAs (AICPA). This will help you broaden your network, improve your resume and meet potential employers. Finally, look for job openings online and make sure to present yourself in the best possible light when applying – both through your resume and at interview. To draw the recruiter’s attention, make sure to identify your goals so that you can create a strong resume focused on the necessary skills. The first half of your resume should review your strengths and important qualifications, allowing the employer to quickly grasp the scope of your expertise. You can do this by including an “Areas of Expertise” section. Make sure to also mention your industry certifications, such as CPA. While reviewing your accounting experience in the second part of your resume, make sure to highlight accomplishments and quantitative results: besides the responsibilities you held, statistics and numbers can be even more persuasive in reflecting your value to a company. Don’t forget to highlight any assets that could help you stand out from the crowd, such as experience with a Big Four firm, a Federal Agency, or your familiarity with popular accounting software. Also, in a dynamic business environment, knowledge of international accounting standards and client interaction skills are more and more valuable. If your resume succeeds in convincing an employer, you will be faced with the next phase of the recruiting process. Interviewing with a Big Four firm usually consists of several steps – a phone interview, a background check and a face-to-face interview. The employer will assess the relevance of your skills and experience, as well as your leadership skills and ability to work in a team. Be prepared to answer technical questions as well as questions related to your career goals, and stay confident and positive throughout the interview. To make a great first impression, inform yourself about the company, look your best and behave professionally – punctuality is a must. Emphasize your qualities and achievements and try to avoid showing a negative attitude towards particular areas of the field. You can also follow up with a thank you letter to the interviewer and can usually expect a decision within a few days. Congratulations – You’re now a professional accountant! Accounting graduates have a bright future ahead, with a projected accounting job growth of 13% between 2012 and 2016. This matches the national average and reflects an increasing demand for qualified accountants – especially as the law requires publicly traded companies to hire certified public accountants for auditing. Salaries in the field are also steadily growing, with a median annual salary of $65,080 in 2013. Depending on location, experience and certifications, an accountant’s salary can vary between approximately $40,000 and over $100,000 per year. While working for a Big Four firm is one of the highest ambitions of many accounting graduates, an accounting degree can qualify you for work in a number of exciting settings across the private and public sector, in non-profit organizations or different government agencies. Opportunities abound and the need for accountants is likely to increase as business continues to evolve. Now You’re Ready – Go Get ‘Em! Searching for your dream job in accounting means continuously striving to be the best. From fulfilling the three E’s required to become a CPA (Education, Examination, Experience) to standing out as an extraordinary candidate with great leadership skills, varied experience, and technical competence, you must take control of your career and seek out the best opportunities. However, once you’ve reached your goal, you’ll discover that all the hard work was worth it in the end.